Have you given up on your search for toys for 1 year old infants? Here, the list comprises a variety of fun, engaging, and educational toys to suit each child. They promote the development of fine motor skills, coordination and balance, and social skills. Children will love interacting with these toys. Create your own homemade shape puzzles by following this DIY blog. It’s very simple, you don’t need any tools, just a large piece of paper and a marker. 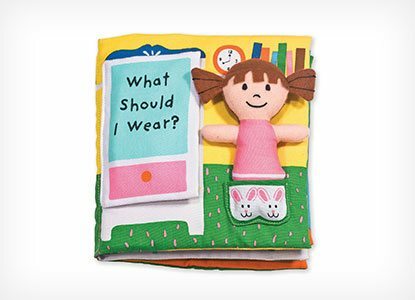 Follow the instruction and you’ll soon have plenty of ideas for activities to keep your little ones sorting and matching colors and shapes. Making your own homemade 3-D shape sorter is as easy as following the DIY instructions in this blog. Download the free printable blueprint, use a box, wrapping paper, plus square, circle, and triangle shapes, and you’ll create a colorful and inspiring game that will keep your toddlers playing it over and over. With some colorful red, yellow, blue, and green plastic cups, and a bunch of red, yellow, blue, and green colored discs, you can invent different DIY sorting games for your toddler. Read the blog to find out how to set up the games and your little ones will be sorting all day long. Learn how to set up sensory water play games for your toddlers and they’ll be splishing and splashing while learning to sort, and improving their fine motor skills. Find your brightly colored plastic cups, reusable cube stars, and a rectangular bucket filled with water, then read the blog for instructions. Sorting colors is like baking muffins. Well, not quite, but if you read and follow the instruction on the blog, you’ll find out it’s just as much fun. With a muffin tin, colored paper and pom poms, you’ll be ready to start. Your kids can then use tongs to move the pom poms! This DIY blog will show you how to make a sensory board for young infants. It’s a delight to watch little ones discover the world around them – simply follow the instructions and you’ll learn about the many kinds of sensory boards you can create for your kids to discover their sensory abilities. Education comes into play naturally, even from the youngest age. 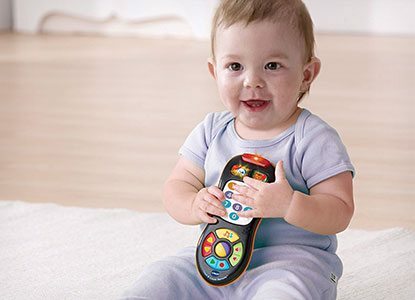 Fisher-Price Laugh & Learn toys combine playtime fun with a love of learning, and give little ones a head start in counting, letters, and shape and color recognition. These fun, engaging, and educational games are some of the best interactive toys for 1 year old toddlers. They encourage kids to use fine motor skills, improve hand-eye coordination, and relate to others. Great for indoor and outdoor play!